At the Dental Health Centre, we want our treatments to be accessible to as many patients as possible. We offer interest-free and interest-bearing finance options that allow you to spread the cost of your treatment, making it more affordable! 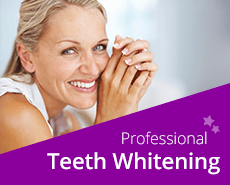 What Are The Advantages Of Dental Health Centre’s Flexible Finance Plans? Improve your dental health - by spreading the cost of a procedure you can access treatments as you want and need them, so your dental health doesn’t have to suffer whilst you save. 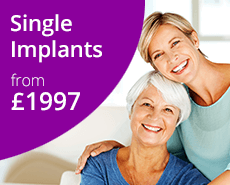 Choose the perfect treatment for you – By using our interest-free and interest-bearing finance plans, you gain a wider range of treatments to enhance your smile. Tailor your payment to suit you – our flexible finance options are designed to suit your personal circumstances. No upfront deposit necessary – with the option to start a finance plan without any initial payment, you don’t have to dip into your savings to start your treatment. Am I eligible for Dental Health Centre’s Finance Plans? Our flexible finance plans are open to anyone over the age of 18, whose online credit application has been accepted. Our finance plans are not exclusive to our members, as we believe dental care should be accessible to all. Which treatments can I fund with Dental Health Centre’s Financial Plans? 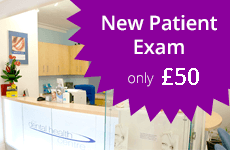 What are the minimum and maximum treatment costs I can fund with Dental Health Centre’s Financial Plans? Our range of finance plans are valid against any treatment that costs between £250 and £50,000. Much like other finance facilities, you can make affordable monthly repayments over an agreed term. These payments are collected by Direct Debit. With the interest-free finance plan, you only repay the cost of your treatment – no more, no less. In terms of the interest-bearing facilities, there will be an interest element which will be made clear to you from the outset – there are no hidden costs, and an upfront deposit isn’t always necessary! Please select the payment option that you would to apply for. The 0% interest option is available for up to 12 months while the 7.9% interest option can be paid over 36 months. Deposits are opptional but not required. Please enter the amount you would like to borrow. Please note the miminum amount that can be borrowed is £350.